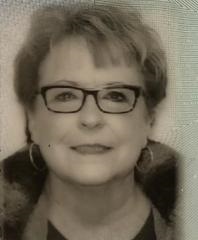 CAROL L. GELLNER (nee Rzepkowski), age 72. Beloved wife of the late Jon “Sam”. Loving mother of Dean (fiancé Peru). Dear sister of Maryann Divis (Bud), and Rose MacDonald (Rich). Aunt of Dawn Divis and Marc (Gwenael) Divis. Mass of Christian Burial Monday April 8, 2019 Holy Family Church 10:00 AM. Interment Sunset Memorial Park. The family will receive friends SUNDAY 1-4 PM at the A. RIPEPI & SONS FUNERAL HOME, 18149 BAGLEY ROAD, MIDDLEBURG HEIGHTS (WEST OF I-71).